Today marks exactly 5 years since I signed up for this site. 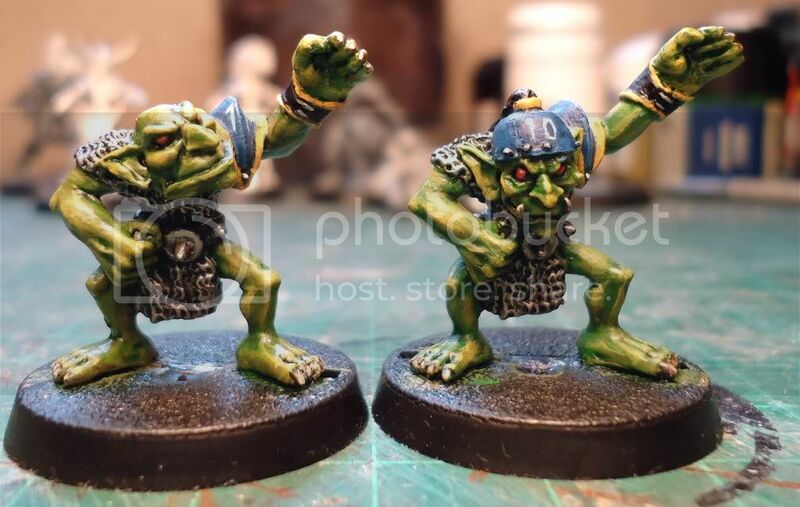 I played 2nd Bloodbowl a lot and when 3rd edition first came out and always kept an eye on its development in the Citadel Journal and Fanatic magazines but got a bit fed up with the rules constantly being tinkered with and never knowing which was the "official" ruleset. I think gold edition was the final straw and after that stopped paying attention. That was until my local GW got a BB league going which re-sparked my interest. I downloaded the rules (which was lrb5 i think) and cobbled together a khemri team using some plastic skeltons (the mummies had paper glued round them). I quickly grew bored with them after only managing 1 TD in 4 games (but only conceded 1 as well)so made them into undead instead. The league didn't last very long and was filled with Orc teams so I was getting a bit bored and someone suggested I look at playing online. I discovered FUMBBL and was quickly hooked, setting myself odd challenges such as getting all 42 player and picker awards using my 1st 210 games or filling the grid. I've managed 1148 games in those 5 years, though most of them were in the early days when I averaged more than a game a day and now barely manage a game a week. I've, had a good run in a Major, won a couple of smacks and tour rounds and been in the top 5 but by far the most rewarding experience has been found in [L]eague. Almost a 1/4 of my games have been played there and through those leagues, most notably the White Isle League I have met some great people both online and in real life at GT's or the Star Bowl. I am have been one of the staff in the WIL for a while now, doing various jobs such as stat monkey, division admin, designing some of the images and have run the White Isle Fringe since it was created 2 1/2 years ago, I also helped out with PeteW's Star bowl this year and last. I probably spend more time on the league admin side of things than I do playing but find that just as enjoyable. So I'd just like to say a big thank you to Christer, Kalimar, all the FUMBBL staff and all the coaches I've played and met for 5 awesome years of free BB goodness. I do make semi-regular small donations and would encourage others to do the same. Let's hope the site continues for many more years and keeps getting better. Oh and here's some pics of the Underworld team, I didn't have enough for a full blog as the zons are all in bits but a small compensation to anyone who read the rambling nonsense above. 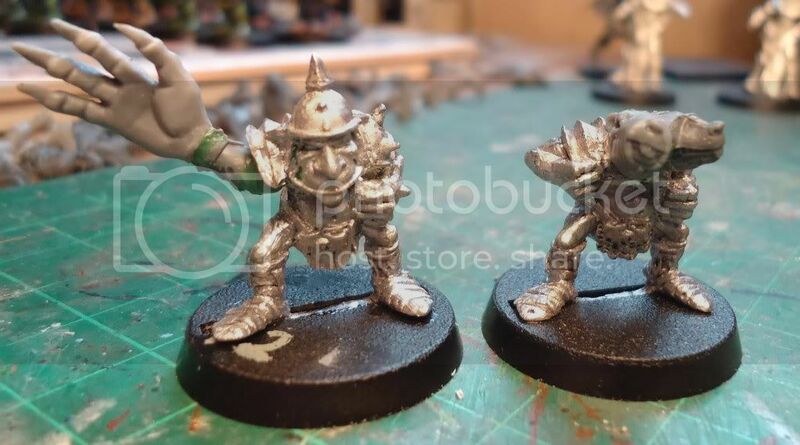 Goblins with magnetic mutations giving a 2 heads or horns option and an extra arms or big hand option. 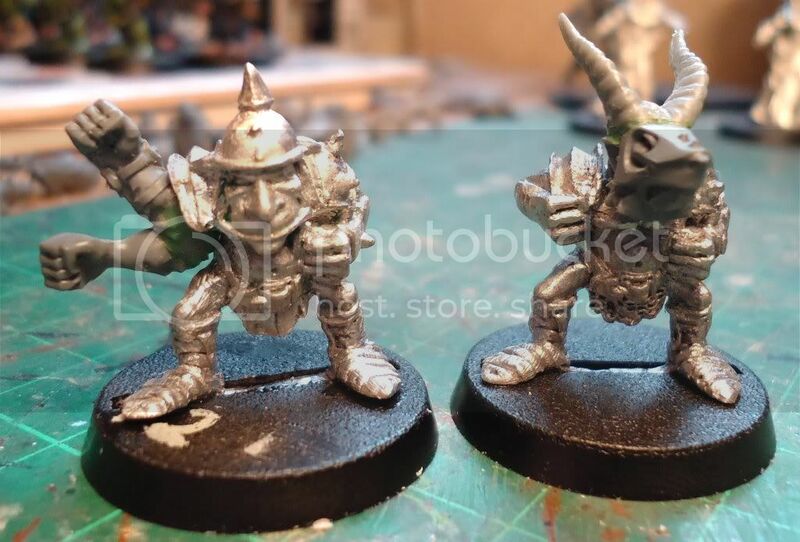 I used skaven bits with the idea that the rats have been experimenting with mixing goblin and skaven bits. And I remember when you were a noob.. geez, time flies like an arrow. And I had to check when my 5 years are, and its 1.5 month from now. Yay!